Catholic prophecy revealed that Pope Benedict would be forced to resign, and 1 year later to the day he did. The False Prophet of the Book of Revelation was then elected an impostor Pope in Rome (according to prophecy). Faithful Catholics remain obedient to Pope Francis, until the competent Church authority ascertains and declares he is heretical and invalid (if such should occur). Peter the Roman (St. Peter) protects and guides the Church from Heaven. Many leaders of the Church will allow themselves to become confused and prey to the dictates of the false church. Opposing the Remnant faithful, they will calumniate them, and despise them, pushing them aside and persecuting them, even twistedly believing that they are doing something pleasing to the Heavenly Father and even to the Immaculate Mother. The faithful Remnant must hold their ground in the Church, witnessing to their complete obedience to the true Church, even knowing the more they do so the more they will be criticized, ridiculed and persecuted. The true Remnant Church will eventually have to go “underground” and endure great trials, but their sufferings will help Christ to save many souls and win the final victory. The failure of the banking system will cause WWIII to start in Europe: global economic fallout will ensue – the remnant will eventually need to use gold and silver to survive and avoid the mark of the Beast (the id card/chip). Rome will fall. RUSSIA will enter and takeover St. Peter’s Basilica: Russia (the Bear) will march upon all the nations of Europe (the Beast with the ten horns), particularly Italy, and will raise her flag over the Dome of St. Peter’s, and Italy will be severely tried by a great revolution. And Russia’s secret armies will later battle America. … Russia will eventually convert as prophecy promises but woe to the earth until then. Pray for Russia to be consecrated to Mary, so that much of this can be avoided. Pope (Emeritus) Benedict will have to flee Rome before the Great Warning. 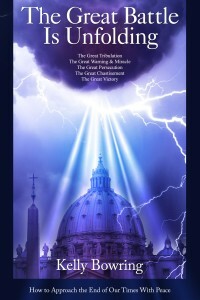 He will guide the remnant for a time and will eventually die a cruel death in exile, while the official Catholic Church is eventually sucked into the new One World Church in the name of unification, after the world war, by the Antichrist and the false prophet pope. Priests, Bishops, and Cardinals will oppose one another as the schism widens and Rome is destroyed, until a new temple to replace the Holy See will be introduced to honor the Beast, a new church that will claim to unite all into a one-world church, and it will be located in Rome protected by the false prophet and reigned over by the Antichrist. But not everyone will be convinced… And know this, in the last days, scoffers will scoff at those who disagree with their living according to their own desires (2 Peter 3:3). They cause divisions, living devoid of the Spirit. As they flout Christian morality, they will also deny the second coming of Christ and the judgment. They will seek to justify their licentiousness by arguing that the promised return of Christ has not been realized and the world is the same, no better than it was before. Then the Holy City (Rome) will be trampled for 42 months. Priests will be asked to pledge a new oath for unity and to remain faithful to the newly revised Church and to the false prophet. For 1,260 days, the true Church made up of the faithful remnant will be cast aside into the desert, where it will take refuge from the false prophet (Rev 12:6). The day this begins is when the Mass will be changed (the Eucharist made invalid) with a new ceremony that will be celebrated as an all-inclusive gathering of all Christians and religions into one, but which will cause the Eucharist to be defiled and desecrated, and thus the true remnant Church will have to gather for the true Sacrifice in secret and in refuges or churches of safety. The final persecution will begin and many of the faithful remnant will be excommunicated (by the false church) and eventually hunted down as traitors to the New World Church. The hour of the Woman who is the New Ark arrives, together with St. Michael, to crush the head of the Dragon. This will be the moment of the Great Miracle when Mary the Co-Redemptrix will draw all her children to her Son. Mary’s cohort are those who are humble, docile, little and charitable who flee from the snares of the devil, and from their easy seductions of pleasure and compromise, journeying along the way of love, of purity, and of holiness. Only those with the Gift of the Holy Spirit (through her intercession) will be able to discern the deceits of the false prophet and Antichrist. And so we pray: Come, Holy Spirit, come by means of the powerful intercession of the Immaculate Heart of Mary, your well-beloved Spouse! The false prophet Pope, the Antichrist, and Satan make up the anti-trinity of evil (Rev. 13). The false prophet is the anti-John the Baptist who prepares the way for the Antichrist. Through the veneer of charm and deceit they will lead humanity away from the true Word of God and the Commandments. 2) the Jews and the Catholics (and Christians) — who will uphold the 10 Commandments, witness the Word against the evils of the enemy, and maintain the true Sacraments… but will be rejected and “killed”, only to rise on the third day (after 3 days of darkness). This is why the enemy seeks to destroy and take over the two cities of Jerusalem (Judaism) and Rome (Catholicism) to wipe all true religion off the face of the earth and thus lead all souls to hell. The two witnesses will be slaughtered. While the antichrist works to annihilate the Jews in Israel, the false prophet will discard the Eucharist and deceive not just Catholics, but all Christians, all religions, in order to idolize the beast under the guise of the One World Religion. Then on the day after the three days of darkness, Jesus Christ will return to Earth, exactly the way in which He ascended into Heaven. On that day, He will come in the clouds, surrounded by all the angels and saints in Heaven in Great Glory to Reign over the Earth. This will be the Day He comes to Judge, and He will divide the people into those who love Him and those who hate Him. Those who rejected Him and paid homage to all things evil, will be banished in the eternal fires of Hell. The rest will come and live with Him, in Paradise, along with the resurrected righteous. THE SECOND PENTECOST – So that the world may be transformed from a desert into a garden, Jesus now returns to restore His glorious new reign of love. By the divine fire of the Holy Spirit, the world will be completely purified, that it may again become that new garden where the Most Holy Trinity dwells in unity with humanity. At this time, the Holy Spirit will open the hearts and souls of all people of good will who remain on earth to welcome Christ, who will now return in the splendor of His divine glory. Though we do not know the day or time of His Coming, modern prophecy makes it clear that the Second Coming of Christ is to occur in this generation. He will come in His glory on the Last Day, to begin judging the nations and establish the universal restoration of His New Reign in the new paradise on earth, for those who were faithful and just during the Great Tribulation and the Great Persecution. First the Saints are raised: “For the Lord himself, with a word of command, with the voice of an archangel and with the trumpet of God, will come down from heaven, and the dead in Christ will rise first” (1 Thessalonians 4: 16). “I saw the souls of those who had been (martyred during the Great Persecution). They came to life, and reigned with Christ a thousand years” (Revelation 20:4-6). Those who are on earth at the time of the Second Coming and who are faithful to God or who accept His mercy will be lifted with Jesus, in the blink of an eye, without suffering, to the New Heavens and Earth and given perfect immortal physical bodies in mystical union with Christ. While the wicked and all who followed the false prophet and antichrist will be left behind, to be thrown like them into the lake of fire by the Angel of the Lord where they will suffer for eternity. This is what is meant when the biblical prophecy of the Second Coming speaks of one being taken and the other left behind (Matthew 24:40-41). The just (and those who accepted God’s mercy) who survived the final end-time battle on earth will live with Christ and the Saints for 1000 years in the New Kingdom on the new earth in the new World, as foretold in prophecy. They will receive the Gift of eternal life when Heaven and Earth become one. This is what is meant as the New Paradise on earth. The New Kingdom of the Divine Will will commence — In this New Era of Peace, all humanity will live “in the divine Will” (FIAT), and the Will of God will finally be done by all on earth as it is in Heaven. We will still have the gift of free will, but it will be freely entwined with the Will of God. At the end of the millennium (1000 years) of peace, all who are still alive on earth in the New Paradise will be taken into the beatific vision of Heaven forever! Fight, children of the light, the few who can see, for now is the time of all times and the battle of all battles – and the Great Victory awaits! 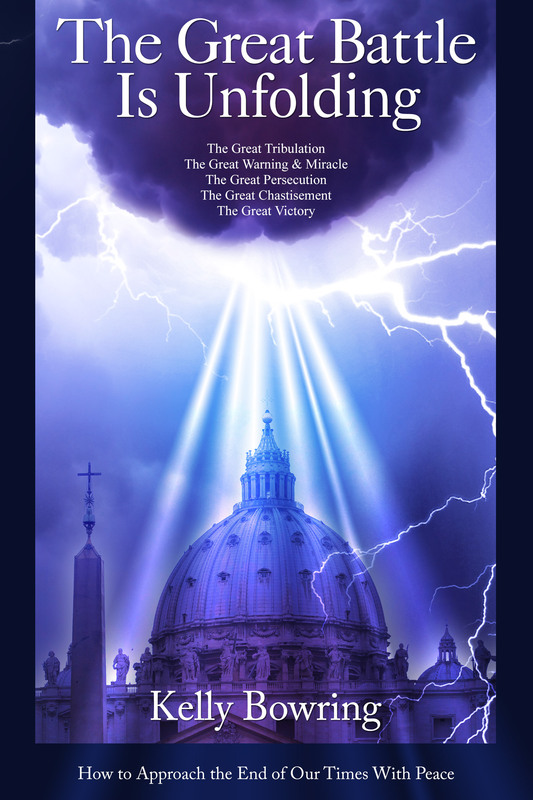 The Last War has begun and it is a spiritual war more than a physical one… Confession, the Eucharist, the Sacred Scripture, the Holy Rosary, and faithfulness to the True Magisterium of the Church: These are the weapons for this final battle. The power of prayer and, especially, the recital of the Holy Rosary, which renders the beast impotent, cannot be underestimated. While prayer — is the weapon, conversion and the salvation of souls — is the goal (for God’s glory). God is telling us (through modern private revelation) that the prophecies in the Book of Revelation are NOW unfolding! The “signs of the times” are becoming clear. God’s final Plan to save humanity has begun! Courage! Respond! And spread this heavenly Message! This entry was posted in Blog, The Great Battle Is Unfolding. Bookmark the permalink.